Ninety nine contributions describe different tactics and strategies, written by practitioners from all over the world, a broad field of engaged art and artistic activism in our times. Additional essays focus on the theories behind the many struggles to make this world a better place. 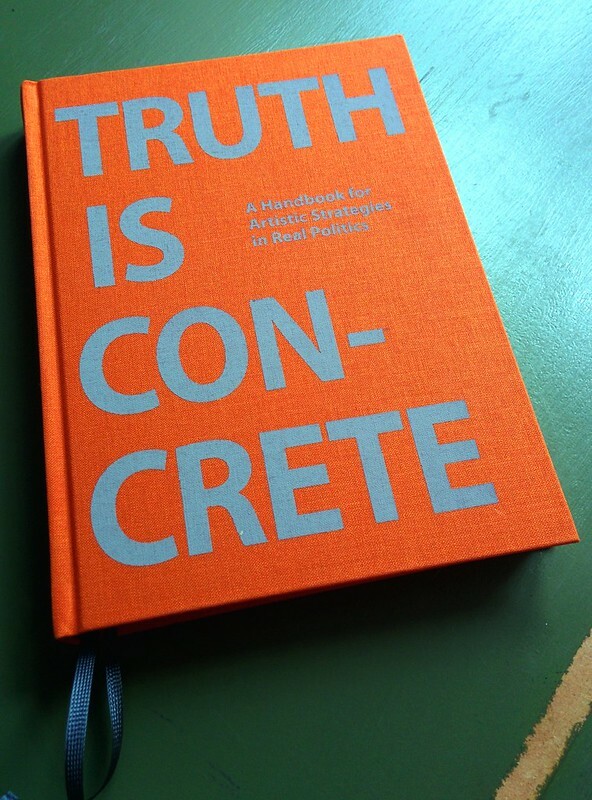 Truth is Concrete will be launched at 8pm, 26th April at WUK in Vienna, and in May, somewhere in Germany. Read Generosity , see documents of the marathon Truth is Concrete, or see Ends Meet, a publication developed by Critical Writing students at the Royal College of Art.